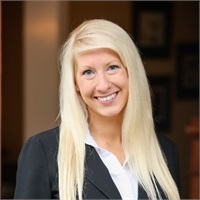 Michelle joined Covenant Wealth Strategies as the Director of Marketing and Communications, in March of 2018. She is responsible for leading our efforts surrounding events, social media, community relations and communications with the purpose of increasing our brand awareness. Michelle’s background brings diverse experience from the accounting, pharmaceutical and recruiting industries. In her prior position with The Siegfried Group, she supported their recruiting operations, communications and growth efforts. Michelle is originally from Ashland, Ohio where she graduated with a degree in Communications, Media Productions and Music Performance from Ashland University in 2007. She currently lives in Kennett Square, PA with her husband Sebastian and two miniature dachshunds Mooney and Biscuit. In addition to spending time with her family, Michelle enjoys running, cycling, swing dancing, playing saxophone and flute and volunteering with Doxie Rescue of Bucks County and Faithful Friends.